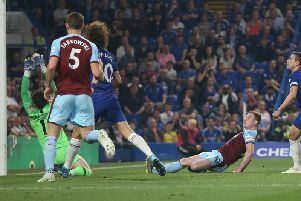 Burnley players and fans remembered Clarets legend Jimmy McIlroy before their Premier League fixture against Manchester United. Both sets of fans remained silent for one minute in remembrance of the gifted inside forward with the current squad wearing black armbands out of respect. The Northern Irishman who made Burnley his home will forever be remembered as a true Clarets legend, the effervescent inside forward who inspired his teammates to the pinnacle of English football when the Turf Moor outfit became league champions in 1959-60.